When we set out to design Ola dBucket Chorus and Vibrato, we knew that we wanted to take a high-performance SHARC DSP and dedicate all of it's horsepower to doing one thingproviding the most lush and organic chorus and vibrato sounds ever heard. Our hand-crafted, processor-intense dBucket algorithm delivers all of the warmth and sonic complexities of analog choruses and vibratos. 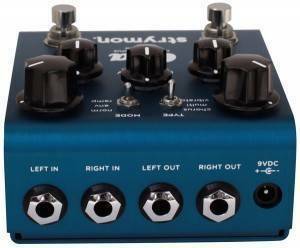 We drew influence from some of our favorite vintage chorus effects and a certain little blue box vibrato with a strong cult following. Couple that with true bypass, a favorite preset, stereo input and output, and a super high quality analog front end and output section, and you have yourself a versatile chorus and vibrato workhorse. - Hand crafted dBucket algorithm for highly accurate reproduction of every stage of an analog bucket brigade chip. 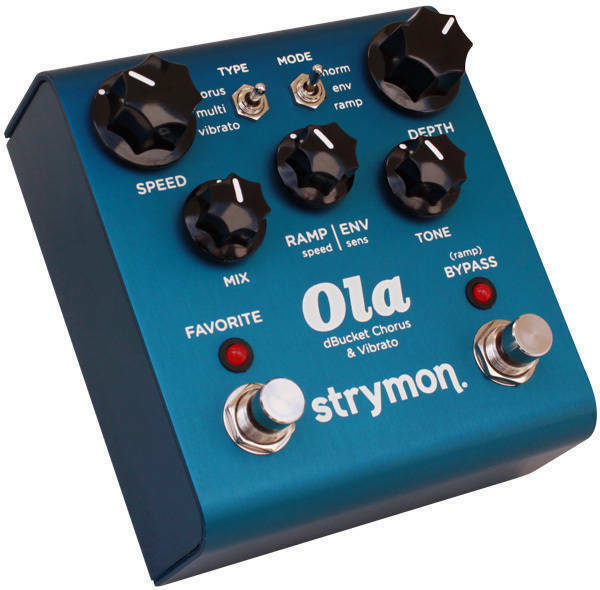 I tried a bunch of different pedals that compete with this one and I read/listened to many online reviews. This pedal is truly top of the line. 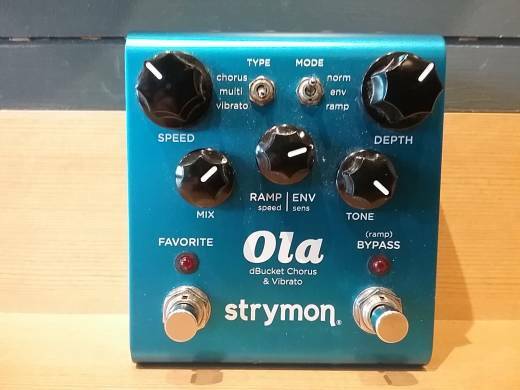 I honestly have nothing even slightly negative to say about this pedal. Give one a try and and see for yourself.